The Mets were blown out 14-8 while hosting the Twins and while everyone can and of course will harp on the negatives, let’s look at some of the good things from tonight’s game. I know it’s hard to give anyone out of the bullpen not named Diaz any credit, but Luis Avilan pitched a scoreless inning, the only Mets pitcher to do so this evening. Brandon Nimmo went 2-4 with a double and home run as well as a walk, reaching base three times. Hopefully, this is a sign of young outfielder breaking out of an early season slump. 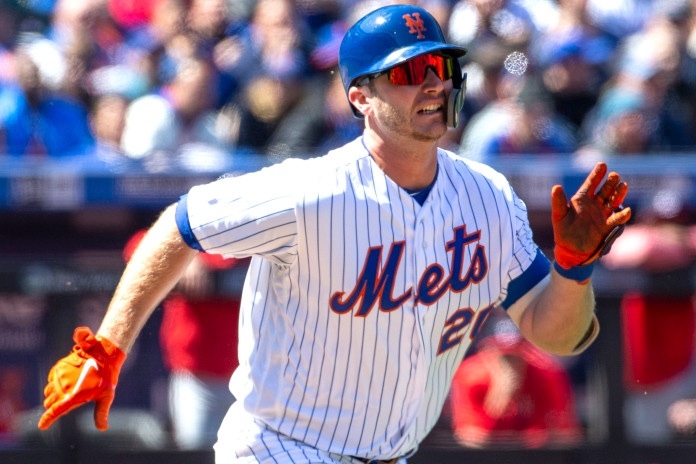 Pete Alonso hit his fourth and fifth home runs with three more RBI’s, now 14 of the young season. The home runs were to right and right center field, displaying his strength to the opposite field. Conforto went with a double and home run, also drawing a walk and reaching base three times. J.D. Davis showed a good eye and discipline at the plate as he worked out two walks. He also singled late in the ninth to give the Mets some life and keep lineup moving along. Amed Rosario went 3-5 with an RBI double. The Mets showed fight late, again. It’s easy to give up when you’re down by 10 runs, but the Mets fought it out to the last at bat.